I am nothing like my family. But I’m held captive by their secrets and lies. I should have listened to that voice in my head and left Susan alone. But I couldn’t just walk away. She was the only brightness in my life—a life of living in the shadows cast by the evil that surrounded me. She taught my heart to love. But in return, she was forced to run away and leave everything behind, including me. After that, my life was never the same. I no longer live—I survive. I survive to protect her from my family. I didn’t deserve another chance with Susan, but an accidental meeting years later gave me just that. And selfishly, I couldn’t let her go—I never could. Unfortunately, neither would my family. Only able to communicate in secret, Susan and I had to wait for the day that my family’s truths would be exposed and we could finally be together. Until then, I would tell their lies and keep my silence. But I will have my revenge. Some would think our story is one of loss. But sometimes through loss, we discover the most precious gifts of all. *Note to readers: This is a follow-up novella to Absolute Love, however it can also be read as a standalone. 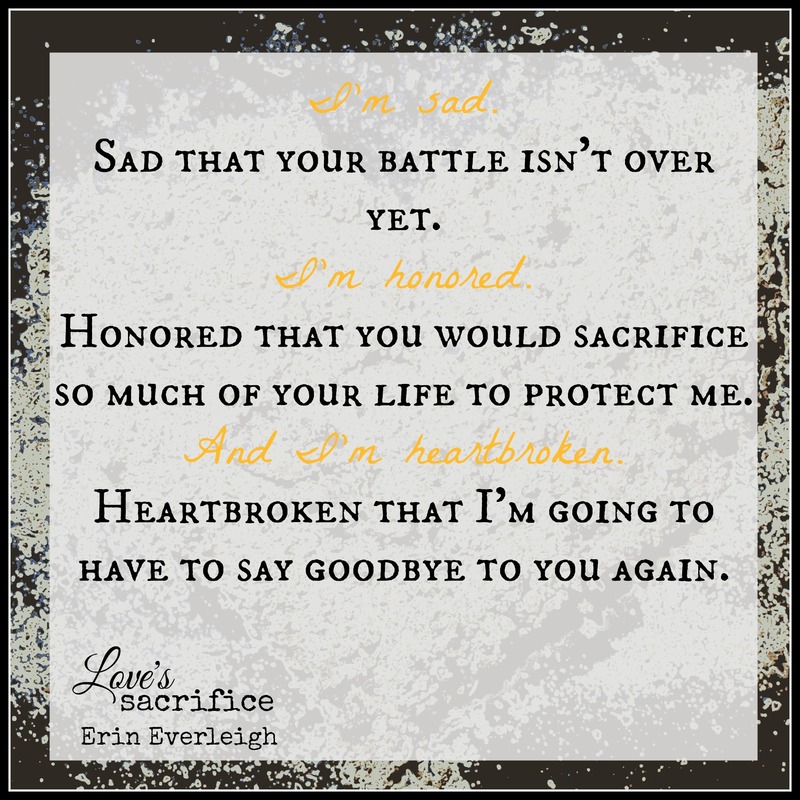 Love’s Sacrifice was a beautiful, enrapturing, and truly meaningful story that I loved reading. It was a poignant read that weaved together a mesmerizing story of feeling and emotion, sacrifice and loss, but most of all love, and what people are willing to do for that love. From the moment I began this novella I could not put it down, as I was so captivated by what I was reading and all of the emotions and feelings it was bringing up in me as I read through this novella’s wonderful pages. Erin Everleigh’s beautiful writing brought this story to life in the most meaningful of ways. Her words and thoughtfully crafted storytelling made every bit of Love’s Sacrifice mean more. She made each interaction of these characters, every memory of the past, every ounce of outstanding emotion and feeling in this story mean more through her phenomenal writing. She not only allowed me to connect so truly to the characters she created, she allowed me to be there with them through it all, feeling and experiencing every ounce of what they were. I felt and breathed and lived through every moment of love and sacrifice and pain and hurt. I felt every breath of longing, every whisper of hope, and I basked in all of it because it brought the world of this story and these characters to life in the most meaningful and enjoyable way. 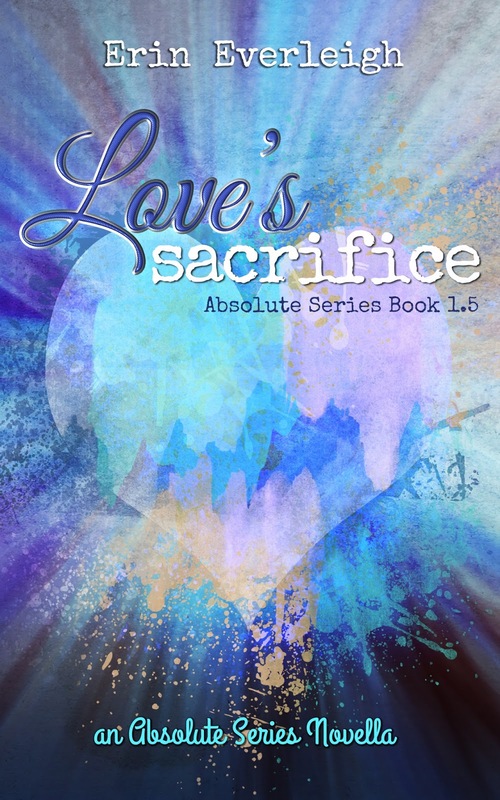 Love’s Sacrifice is the second story in this series, and can either be read as a standalone story or after the first book in the series, Absolute Love. While you can read this story either before or after Absolute Love, I personally recommend reading it after to really get the full impact and power of this beautiful and emotional story. 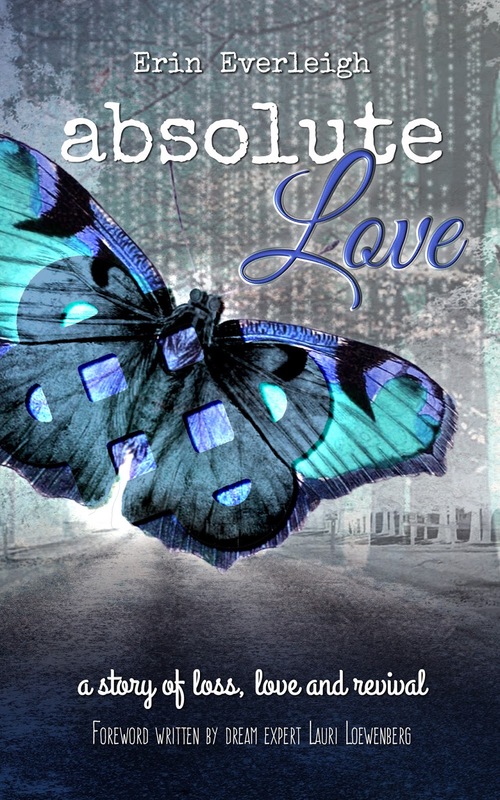 I especially recommend doing that because I absolutely loved Absolute Love. It was a fantastic book that introduced me to Erin Everleigh’s outstanding writing, and it truly should not be missed. This novella tells a story of a lot of things. It tells a story of loss, and sacrifice, and the hurt that comes with that sacrifice. It also gives you the perfect amount of mystery and intrigue as the puzzle pieces of it all start coming together, and with each piece of the story you get, the more you become invested in what you’re reading. It also tells the story of love, so much glorious love. What that love can do to you, what it can make you hope and fight for, and the beautiful and unforgettable gifts that love can give you if you only give it a chance. 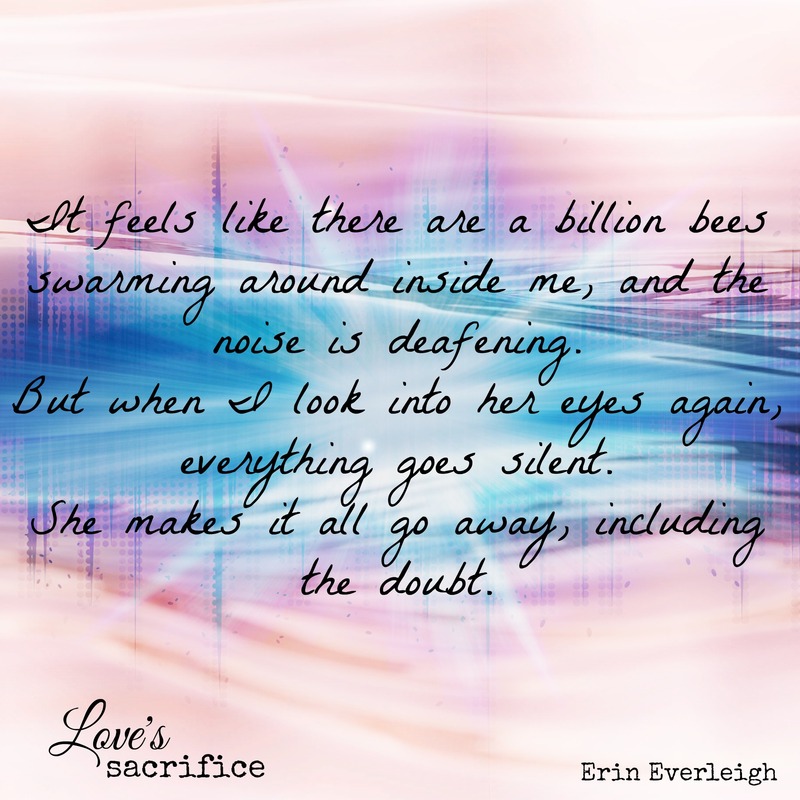 Erin Everleigh’s enrapturing writing encapsulates all of that and more in Love’s Sacrifice to give you a story that has every ounce of feeling and emotion and love that you need. I am not exaggerating when I say that you feel this story. You feel every bit of what it has to offer, and that will have you so beyond in it all with these characters and in the world of this story. It will have you loving them, connecting to them so truly, and rooting like crazy through it all that things will have a way of working out the way they should. Through a mixture of past memories weaving themselves into the present of this story you get the story of Aaron and Susan, two people who have a world of feeling and love for one another, yet have a serious set of odds set against them. In Love’s Sacrifice you get their beautiful and heart squeezing love story that is bursting with so much love and hope and feeling. Your heart will be so beyond invested in Aaron and Susan’s story. You will feel so immensely for them, you’ll hurt and break with them while reading, and you’ll have the biggest amount of hope that the sacrifices those two make will have a way of meaning something more. I loved Aaron and Susan’s story so much. It wasn’t the lightest of stories, but it was theirs and that’s what made it all the more meaningful. I am telling you now that you will have no doubts in the depth of what those two share. Their story spans years and decades. It’s powerful and meaningful, and it will melt, squeeze, and break your heart more times than you can count. It’ll break you a bit, it’ll try and heal you to, and through it all you will be basking in the meaning of what Aaron and Susan share, and the sacrifices, gifts, and legacies that that love leaves in its wake. This story truly was beautiful and meaningful in every single way, and Erin Everleigh’s outstanding writing put you right there in the midst of it, feeling, experiencing, living and breathing and loving through it all. One of my favorite aspects of Love’s Sacrifice was that it was told in multiple points of view, which weaved together a thoughtfully crafted story that was well plotted and kept me insanely hooked into everything I was reading. I not only got to experience the power and extraordinary level of feeling in Aaron and Susan’s story, but I also got so many unforgettable pieces to their story and the overarching story in this novella and series. I got to meet some outstanding new characters, jump into their heads, and experience the power and beauty of this story with them too, which made reading this story even more enjoyable. I also loved how the events of this story flowed so well into what I read in Absolute Love. They meshed and complimented each other so well because of Erin Everleigh’s fantastic writing, and how it brought everything together in the most all-feeling and meaningful way. The more and more I read this novella, the more and more I craved a happy ending for all of these characters. The more I read, the more I needed it for them all, the more I hoped with all I had for them all, and that was just one of the things that showed me how emotionally invested I was in what I was reading. I really can’t say enough how in this story I was. 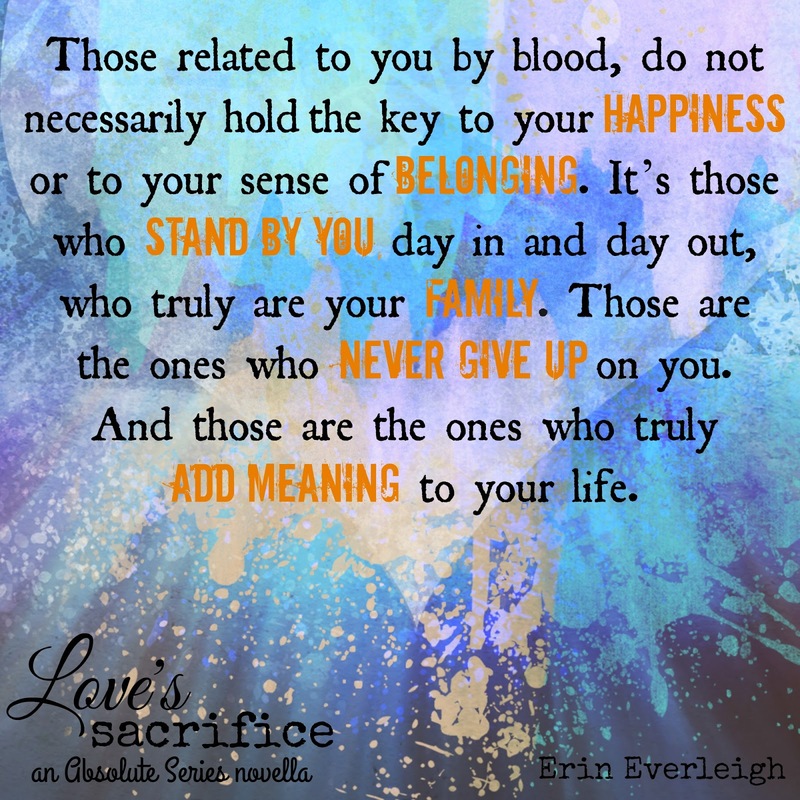 Erin Everleigh pulled me into this story and the world of this series heart first once again, and I can’t say enough good things about what I got from all these characters as I lived through and experienced their heart squeezing story. The level of feeling, emotion, and love in Love’s Sacrifice will blow you away. You will feel every ounce of what this story has to offer. There are so many moments in this novella that will make your heart hurt, that’ll make it melt and soar with the feelings it gives you, and throughout it all you will bask in what you get with these characters. I absolutely loved the reading experience that that emotion and feeling gave me while reading, and it truly brought the meaning and message of this novella to light in the most enrapturing way. Like I said, Love’s Sacrifice is a novella about a lot of things. It’s a story of young, yet oh so powerful love, that changes your life in ways you never imagined. It’s about how far you would go for someone else, how much you would do to protect them, and how much you’re willing to sacrifice in the hopes of more. It’s about longing, and hope, and so much love. It’s about giving it all you’ve got and never giving up hope, even in the most dire of situations, because that hope can take you places you never thought possible. But really this fantastic novella is about love. The beautiful, meaningful, raw and honest power of love, and the truly unforgettable places it can lead you, and sure it might not be easy, but it is oh so worth it, and you will feel and believe that in every word of Love’s Sacrifice. This novella was the perfect addition to this series. It gave me more of what I loved from the first book and expanded that love even more. It allowed me to fall in love with all of these characters, new and old, and it gave me their heart squeezing, captivating, and downright fantastic story that I loved to pieces. Erin Everleigh’s writing truly gave me it all in this novella, and I look forward to reading more of this author’s books soon. She has a true talent and her writing is simply beautiful in the most mesmerizing of ways. Simply put, I absolutely loved this novella and I highly recommend it and its predecessor to you. They will make you feel and think and hope and wonder, and most of all they’ll have you truly believing in the power, magic, and pull of all consuming, beautifully breathtaking, and heart melting love. “Come on, Aaron. Don’t be such a wuss!” Susan pulls me down to the snow-covered ground and instructs me to lie flat on my back. I do as I’m told. I would do anything for her. “Okay, are you looking?” Susan asks, as she rests her head on my stomach. Her body stretches out from mine so we are in a “T” shape. I look up towards the afternoon sun shining brightly in a rare, clear blue winter sky. “Good. Now squint your eyes. See the rays of light coming off the sun in all different directions?” She doesn’t wait for me to answer. “Can you see how far they stretch?” This time she does wait. “I do,” I say, still curious where she is going with this. “Who knew you were so philosophical?” I joke, secretly wiping away tears that escaped my eyes. I have no right to cry. She’s the one who is leaving everything and everyone she knows.